Constructed during the first years of the 20th century on the ruins of the older Palazzo di Giustizia, Montieri‘s Palazzo Comunale was designed by Lorenzo Porciatti who had a thing for the Neo-Gothic. 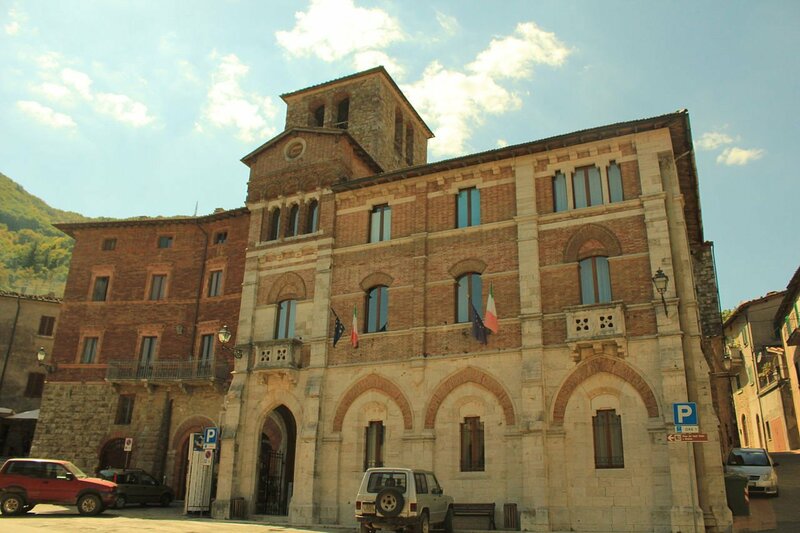 The characteristic combination of brick and travertine blocks on the facade gives this palazzo a grand feeling and ensures it stands out in the piazza. Lovers of Neo-Gothic art are quick to list the similarities between this building and the Aldobrandeschi Palazzo in Grosseto and they have good reason to, Lorenzo Porciatti also designed that building and all of Montieri’s elementary schools. Photo: Alienautic via Wikipedia Commons.